We’re grateful for generous sponsorship support that makes possible our ability to offer the poetry portions of all events at no cost to the public. Please note that participating restaurants will be charging for food and drink. Dinner with a Poet – Join poet Kerrin McCadden for dinner at the Black Krim Tavern in Randolph VT. Dinner at 6:00pm, followed by her reading at 7:00pm. Call (802) 728-6776 to make dinner reservations. Bring two or three of your poems and sign up at the door. Wilma Ann Johnson — Oh, what a morning! Audrey Boerum — A Poet Is …. Josie Carothers has always lived in a world of words. Life is so fascinating, what better way to live it than to describe it? Leaving behind a life of environmental jobs, activism and advocacy, and the raising of pigs, chickens and children, she is now what she calls a “post-professional,” living with her mate and writing, gardening and dwelling in Vermont, all for her own pleasure. She mines the life of a revolutionary in the 60’s, a free-thinker in the 70’s and beyond, and the inheritor of vast and deep family stories for her material. Caitlin Gildrien is a writer, graphic designer, and erstwhile farmer living at the feet of the Green Mountains. Her work has recently appeared in Rattle, the Hopper, the Rumpus, Intima, Rise Up Review, and Poets Reading the News. Find her at www.cattailcreative.com and @cattail_caitlin. Corey D. Cook’s fifth collection of poems, The Weight of Shadows, was released in January (2019) by Finishing Line Press. His poems have recently appeared or are forthcoming in the Aurorean, Bloodroot Literary Magazine, Brevities, Chiron Review, Freshwater, and Northern New England Review. Corey edits Red Eft Review and lives in Thetford Center, Vermont. Maria Damon teaches in the Writing Department and in the Department of Humanities and Media Studies at the Pratt Institute of Art. She is the author of several books of poetry scholarship and co-author of several books of poetry. Joan Feierabend: I am a visual artist who likes to write fiction to try and fathom facts. I live in East Randolph and have written for as long as I can remember. Jenny Grassl was raised in Pennsylvania, and now lives in Cambridge, Massachusetts. Her poems appeared most recently in the Boston Review annual poetry contest, runner-up prize selected by Mary Jo Bang, also in the anthology: Humanagerie, Eibonvale Press, UK, Ocean State Review, Rogue Agent and Phantom Drift. Her poems are forthcoming in: Rhino Poetry, Radar Poetry, and Massachusetts Review. Adeena Karasick is a New York based Canadian poet, performer, cultural theorist and media artist and the author of ten books of poetry and poetics. Her Kabbalistically inflected, urban, Jewish feminist mashups have been described as “electricity in language” (Nicole Brossard), “proto-ecstatic jet-propulsive word torsion” (George Quasha), noted for their “cross-fertilization of punning and knowing, theatre and theory” (Charles Bernstein) “a twined virtuosity of mind and ear which leaves the reader deliciously lost in Karasick’s signature ‘syllabic labyrinth’” (Craig Dworkin); “one long dithyramb of desire, a seven-veiled dance of seduction that celebrates the tangles, convolutions, and ecstacies of unbridled sexuality… demonstrating how desire flows through language, an unstoppable flood of allusion (both literary and pop-cultural), word-play, and extravagant and outrageous sound-work.” (Mark Scroggins). Most recently is Checking In (Talonbooks, 2018) and Salomé: Woman of Valor (University of Padova Press, Italy, 2017), the libretto for her Spoken Word opera co-created with Grammy award winning composer, Sir Frank London. She teaches Literature and Critical Theory for the Humanities and Media Studies Dept. at Pratt Institute, is Poetry Editor for Explorations in Media Ecology, 2018 Andrew W. Mellon Foundation Award recipient and winner of the 2016 Voce Donna Italia award for her contributions to feminist thinking and 2018 winner of the Albert Nelson Marquis Lifetime Achievement Award. The “Adeena Karasick Archive” is established at Special Collections, Simon Fraser University. Taylor Mardis Katz is a poet, farmer, and freelancer from Chelsea, VT. With her husband, she runs Free Verse Farm & Apothecary, an herb farm specializing in growing ingredients for their ever-expanding line of herbal tea blends, culinary blends, and herbal remedies and body care products, which are available locally as well as online. Taylor also works as a poet for hire, writing poems for both businesses and individuals. Mark Lamoureux is an Assistant Professor at Housatonic Community College. He is the author of four full-length collections of poems, It’ll Never Be Over for Me (Black Radish Books, 2016) 29 Cheeseburgers + 39 Years (Pressed Wafer, 2013), Spectre (Black Radish Books, 2010) and Astrometry Organon (BlazeVox, 2008). A fifth book, Horologion, is forthcoming from Poet Republik, Ltd. in 2019. His work has most recently appeared in Fence, Dream Pop and Fourteen Hills. In 2014 he won the 2nd Annual Ping Pong Poetry prize for his poem “Winterhenge/Summerhenge,” selected by David Shapiro. Gina Myers is the author of two full-length poetry collections, A Model Year (2009) and Hold It Down (2013), as well as several chapbooks, including most recently Philadelphia (Barrelhouse, 2017). In addition to poetry, she has published numerous essays, reviews, and articles for a variety of publications, including Hyperallergic, Frontier Psychiatrist, Fanzine, The Rumpus, and The Poetry Project Newsletter, among other places. Originally from Saginaw, MI, she now lives in Philadelphia, PA, where she works as a web content writer and social media specialist, co-edits the tiny with Gabriella Torres, and runs the Accidental Player reading series. Learn more at gina-myers.org. Carol Potter is the 2014 winner of the Field Poetry Prize from Oberlin College Press for her fifth book of poems, Some Slow Bees. Other awards include the 1998 Cleveland State Poetry Center award for her book, The Short History of Pets, and the Balcones award as well as a Pushcart Award and residencies at Yaddo, MacDowell, The Fundacion Valparaiso and Millay Colony of the Arts. Publications include poems in The American Poetry Review, Poetry, The Green Mountains Review, Hotel Amerika, Sinister Wisdom, The Kenyon Review, Hayden’s Ferry, The Massachusetts Review, The Los Angeles Review, Poet Lore, River Styx and the anthology of contemporary Vermont poetry, Roads Taken. 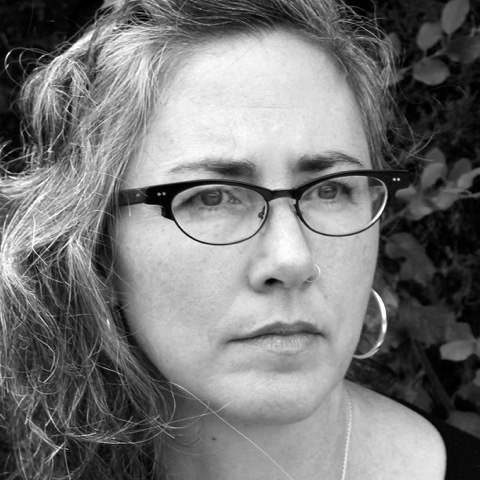 Kerrin McCadden is the author of Landscape with Plywood Silhouettes, winner of the Vermont Book Award and the New Issues Poetry Prize. She is the recipient of a National Endowment for the Arts Literature Fellowship, a Vermont Studio Center Fellowship, and the Sustainable Arts Foundation Writing Award. Poems have appeared or are forthcoming in Best American Poetry, The Academy of American Poets’ Poem-a-Day series, American Poetry Review, Beloit Poetry Journal, Ploughshares, Prairie Schooner, and Rattle. She is associate director of the Conference on Poetry and Teaching at The Frost Place and teaches at Montpelier High School. She lives in South Burlington, Vermont. Carl B. Russell and his wife Lisa McCrory own and operate Earthwise Farm & Forest in Bethel, VT, where they raise organic vegetables and grass fed livestock, use draft animals for logging and field work, and offer workshops on skills for sustainable livelihoods. Carl has operated Russell Forestry Services since 1986, specializing in ecological forestry and low-impact timber harvest with draft animals. Carl’s work with horses and oxen, and other land-based enterprises, provides a broad foundation for personal creativity. From time to time it moves him to share his observations through little bits of written imagery. Anne Shivas grew up in Scotland. She worked there as a teacher, then did graduate studies in philosophy of education, aesthetics, and dance in London. She has an MFA in poetry from Drew University, where she has been a guest-lecturer. She teaches the Alexander Technique and leads Osher classes in Scottish poetry and literature. Her poems have been published in the USA, Scotland, Israel and New Zealand. Her first poetry collection, Whit Grace, was published in 2017. Her poem “An Old Woman Cooking Eggs” was chosen as one of the 20 Best Scottish Poems of 2017. She lives in Norwich, VT.
Gloria Smith: I am a born and raised Vermonter, recently retired nurse, as well as an artist and writer. I live in Braintree, Vermont. I have written for my own amusement and pleasure for years, now I am sharing my writing with others, be it good or bad. I prefer nonfiction, life is just too amazing to make this stuff up. Twice a fellow at The Fine Arts Work Center in Provincetown, Julia Thacker has also held fellowships from The Bunting Institute at Radcliffe and The National Endowment for the Arts. Her poems and stories have appeared in AGNI, The Boston Globe Magazine, Little Star, The Missouri Review Online, New Directions and others. She lives in Cambridge, Massachusetts. PoemTown Randolph organizers invite Vermont poets of all ages to submit their original poems as the centerpiece of its 6th annual celebration during National Poetry Month. Throughout the month of April, posters of selected poems will be displayed in the main windows and doors of businesses, churches, and organizations in Randolph. Poets are welcome to submit up to three original poems for consideration, no longer than 24 lines each. Please send 1-3 original poems as MS Word attachments to musbird@gmail.com. In the text of an email, include your contact information (name, mailing address, email address and telephone number). Then attach each poem separately with the title of the poem as the document name and no identifying information other than the poem’s title on each document. The submission deadline is February 4. Please do not submit any work that has been previously displayed in any PoemTown or PoemCity celebrations, nor any poems that have previously appeared in print anywhere else. By sending work to PoemTown 2019, poets agree that PoemTown may use any poem in display, in promotional materials, and in associated online, print and other media. Poets will, of course, be credited for their work in all places their poems appear. In addition to displayed poems, PoemTown organizers are planning special poetry events throughout April, including dinner with poet Kerrin McCadden at the Black Krim, an open mic night, Saturday afternoons at the White River Craft Center with local and out of town guests, an evening featuring local published poets, a night of “farmers’ poetry” at Silloways’ Sugarhouse, and a special event with Los Lorcas at Chandler. Details will be posted soon!